Like most MMO games, EVE Online is in a constant cycle of evolution. It has to be; otherwise the subscriber base would soon boil away. There is a ship in EVE which reflects the evolution trend of the whole game: the Scorpion. 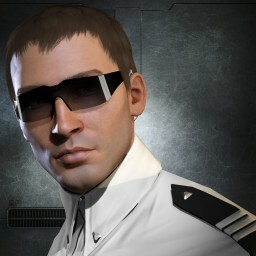 At the beginning of 2010, CCP has changed the Scorpion battleship model so it reflects its name better. Gorgeous new graphics would not be possible without the introduction of Trinity graphics engine back in 2007. Additionally, with Tech III ships CCP has introduced new shaders called the PGS. PGS uses different texture sizes for Diffuse and Paint/Glow/Specular maps. This way the end shader product looks much more real and sharp in comparison to the old Normal/Glow/Specular model. Copyright owner of all images is CCP hf. Images are only used for informational purposes.